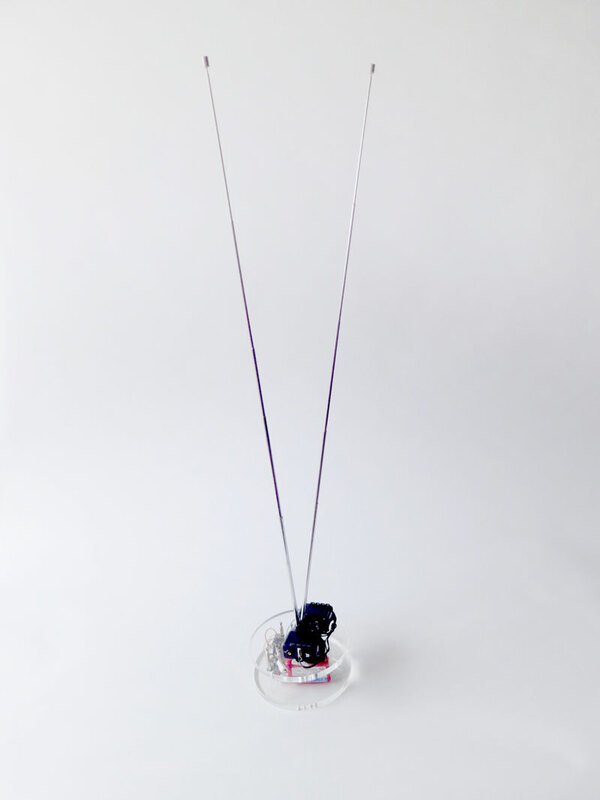 Bug Antenna consists of two telescopic antennas that interact with the room’s wifi environment. The device reacts to the intensity and number of networks available in the place. Its gestures are similar to those of an insect’s antennae, seeking to probe and interact with its environment. With telescopic antennas, wifi, motors, plexiglass, electronic device. Programming in collaboration with Didier Bouchon.